Sound Suite is a system designed to manage the content that callers hear while on hold. It gives businesses the ability to select music playlists and promotional messages directly from the admin interface. 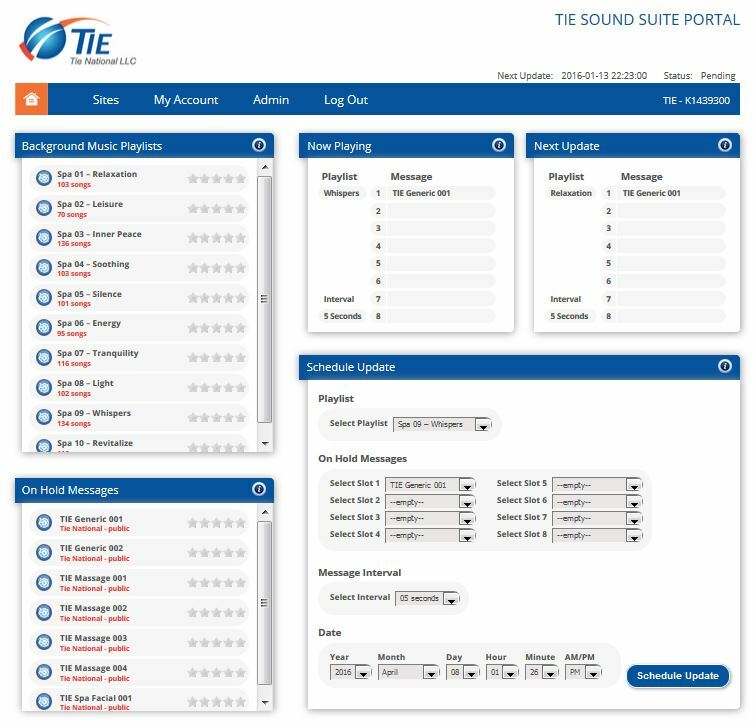 Sound Suite, a product from Tie National, a technology solutions provider for multi-location businesses, is a system designed to manage the content that callers hear while on hold. The on hold messaging platform includes a variety of music appropriate for different kinds of businesses. It also lets users access the administrative interface directly, to add specialized or targeted messages and promotions, giving business owners complete control of what callers hear while waiting to speak to a representative. 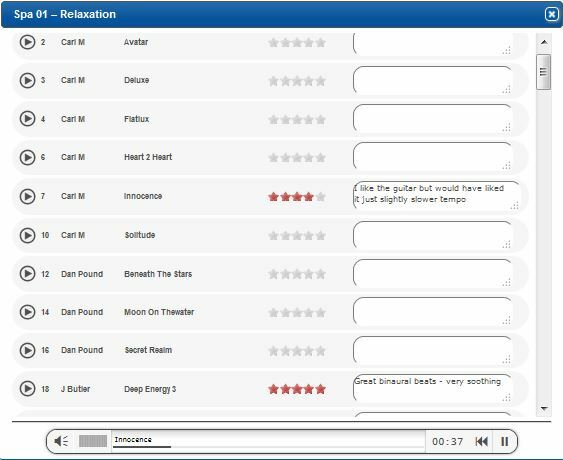 Sound Suite bundles message-on-hold and background music into a central online portal for unlimited scheduling. 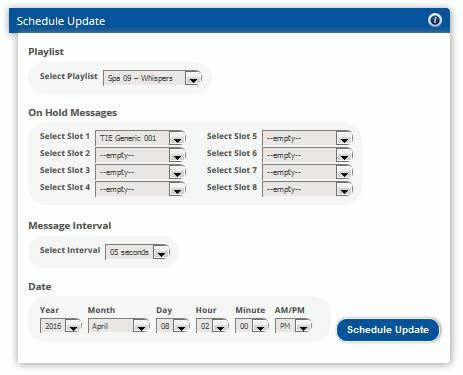 Tie National is introducing Sound Suite as a packaged solution with a subscription price of $39.99 per month per location that includes unlimited daily changes between provided playlists and messages. Sound Suite isn’t the only on hold messaging system that allows businesses to add customized messages but is the only one to permit unprecedented changes to those messages plus interface access to make the changes — something that is causing quite a stir among competing message-on-hold and background music providers who charge additional fees for scheduling changes above a plan limit. Tie curates the playlists included in Sound Suite with a great degree of care, providing several different moods suitable for various types of businesses, Powell said. Whether on-site or from a remote location, signing into the portal allows the business owner or manager to select from a variety of playlists and determine which on hold messages to play, including the time interval between messages. Sound Suite comes installed with generic pre-recorded greetings and music to get subscribers started right away. After the initial setup, users can have Tie National upload music and greetings provided by a corporate marketing department, to match their branding with voice actors they may already use regularly. The Sound Suite on hold messaging platform runs in conjunction with the Nel-Tech Labs ILINK-2GB. Tie National will install the system into devices a client may already have but also makes equipment available for rent or purchase. Tie National has a video for those who would like to view a demo of Sound Suite. You can also visit the website, to learn more. Currently, Tie National only works with franchise operations but has plans to extend its services to individual small businesses in the future.